Click and Make-Up Beauty Blog: Urban Decay Keeps Getting Better! 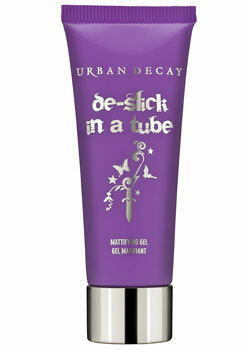 There are two products, one old, one new, from Urban Decay I need to own - and soon! 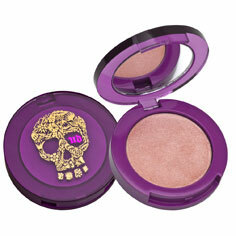 Let's start with the most exciting one: Urbanglow Cream Highlight - ain't it a beauty? As far as I know it's still only available in the US and an extensive search of the interwebs only suggests it will join us by Spring 2011 at the earliest. I have powder and liquid highligters, but no creams and since it come in the shade 'Sin' - shimmering champagne - which is my all time favourite UD eyeshdow I plan to be one of the first people to get my hands on it! Packed with pearl powders, the weightless formula adds luminescence wherever you need it: Craft contours where there were none. Create sculpted cheek and brow bones. Look like you got a full night's sleep with a touch of Urbanglow in the inner corners of your eyes. Hide that hangover with a dewy, youthful glow. The non-greasy formula dries down instantly, and can be worn right on top of makeup. Can be worn over make up?! Sign me up! They're $24 but will be £18 when they hit UK shops - a little more than the exchange rate, but I did expect them to just change the $ to £. And now onto a product which has been around for a while, but I've never spotted it at Boots! I'm always on the look at for something to keep oil at bay and my make up in place and this mattifying gel sounds like just the thing! It can be used under or over make up and apparently helps to tighten pores but I'd be happy with it just keeping me shine free. It's described as 'colour neutral' and even works in hot and humid conditions. I've heard good things about UD's 'all nighter' make up setting spray, so there's a good possibility De-Slick will be effective too. You can probably get it from Urban Decay concessions in large department stores like House of Fraser or Debenhams, but you can order it online from here for £16 - even a better deal than in the USA where it's $28 . But you only get 20mls, not a lot considering most foundations run at about 30mls. Yea I asked about this in Debenham's and we have them this spring!! The Cowboy Junkie palette is coming over too =D!! I love this brand, i wish we carried it in Greece ! I'm dying to try the cream highlighter. I've wanted one for a while but I haven't seen any I particularly liked or could justify spending money on! And the fact that this comes in 'Sin' is even more tempting because it's one of my favourite UD shades! ooohh i agree its beautiful! and i'm inlove with the packaging too! How pretty! (= I need to pick this up asap! these products look really great!! i'm going to try them!! Great products, looking positively awesome and extremely desirable... *sigh* Especially the Urbanglow Cream Highlight!